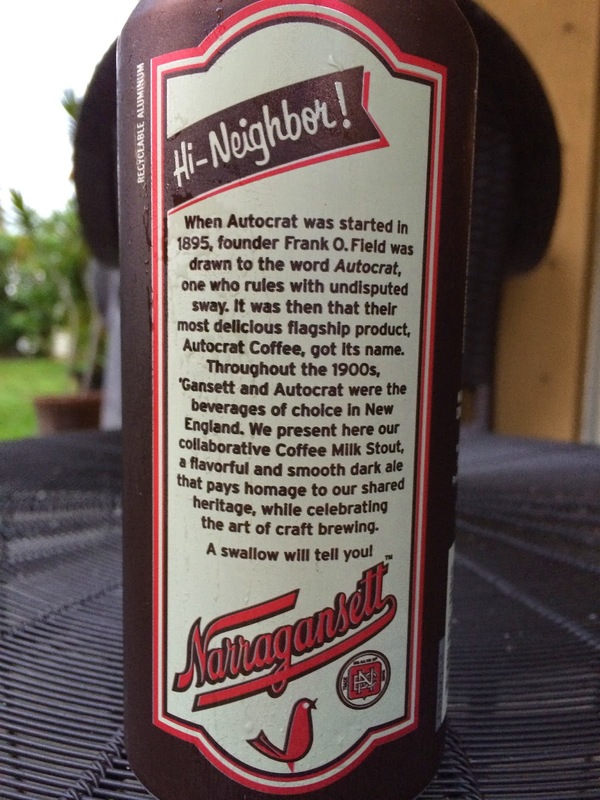 Today I'm checking out Narragansett Autocrat Coffee Milk Stout. Made on Honor. Sold on Merit. 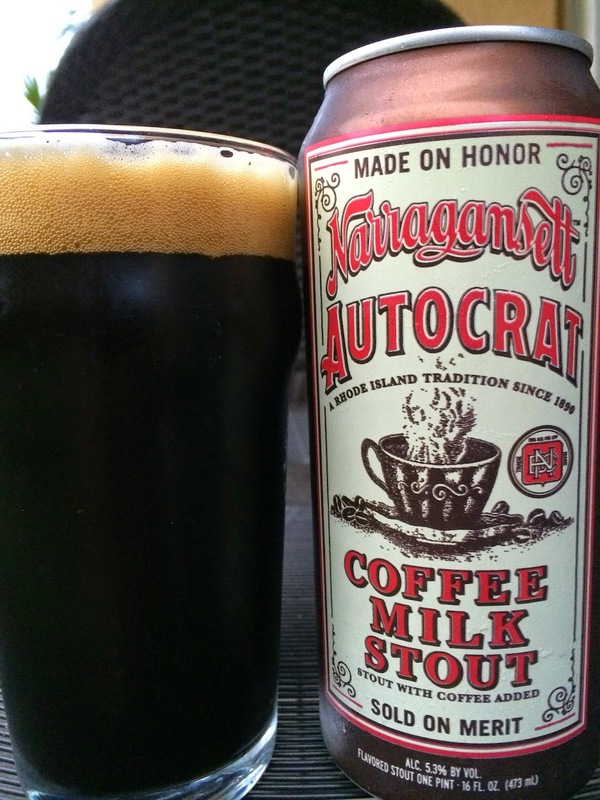 Those expressions are the epitome of this collaboration beer between two century-old New England craft companies: Autocrat Coffee and Narragansett. My pounder can tells me a little more about about their histories that you can read below. The front shows a steaming hot cup of joe! 5.3% alcohol. Excellent coffee aroma, like quality coffee, not the crap I drink three cups of every morning. With the coffee, you also get a light roast, light chocolate, and milky sweetness. Flavors are very much coffee-forward, full of roast to the edge of burnt. And despite that, there is a nice creamy texture. Milk chocolate flavors are present, though no sweetness. In fact, this beer leans quite a bit on the bitter end. The finish is dry and long lasting, and the place you'll feel some lingering smokiness the most. Medium body. Nice beer. I liked it. And I like the connection of the two businesses.